This is a drawing of three cats, commissioned by their owner as a keepsake and a way of remembering them. 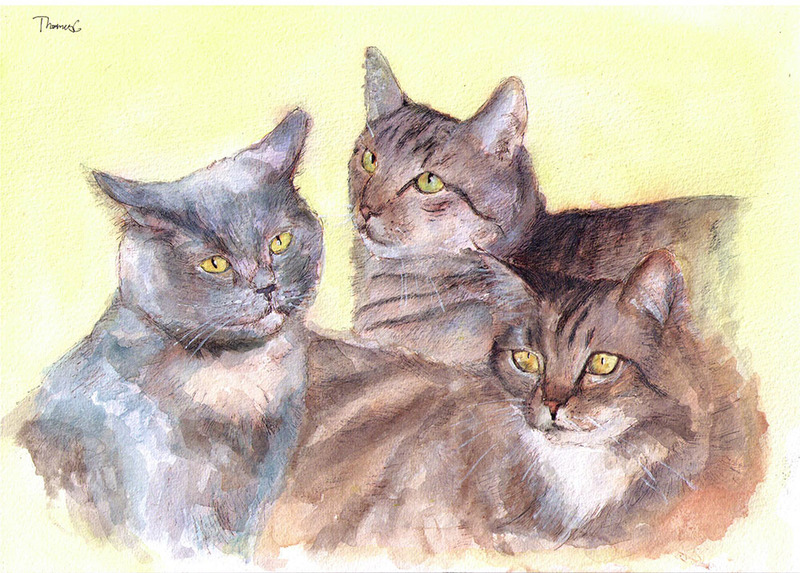 I made the composition from three individual photos of each cat, and drew the drawing in ballpoint pen and watercolor. The drawing is done on watercolor paper in A4 size. Tagged Ballpoint pen, Cat, commission, Drawing, Featured, painting, WatercolorBookmark the permalink.